“Sport hunting,” and especially “trophy hunting” are undeniably morally depraved activities, yet they are permitted and even fostered by governments in many places around the world. This in the 21st century. What better proof do we have of humanity’s ethical failure than permitting the murder of innocent animals to get a kick or satisfy one’s vanity? he Trump administration’s recent lifting of the ban on importation of elephant tusks from certain African countries brought renewed attention to trophy hunting. Trophy hunting was put on center stage in 2015 when Cecil the lion was lured from a wildlife reserve in Zimbabwe and shot with an arrow from a compound bow. The hunter left Cecil to languish for countless hours until he returned to kill and behead the lion. 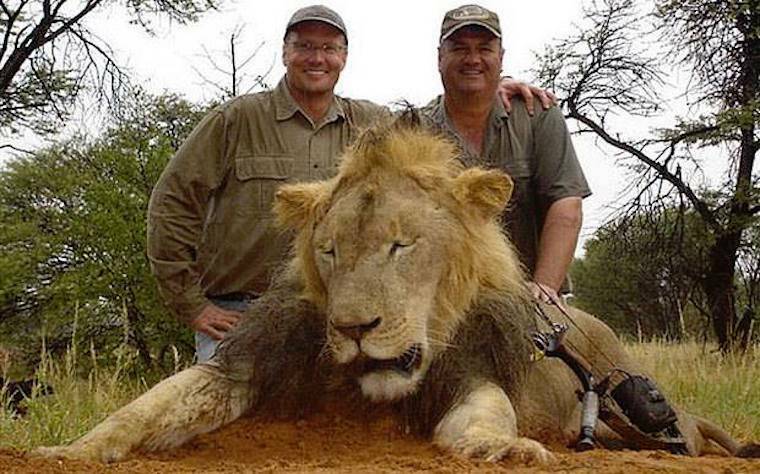 Cecil met this cruel fate for no reason other than so the hunter could display the lion’s head in his house. Most lion hunts in Africa are “canned”, leaving no means for the animal to escape from a fenced-in pen. Indeed, the operators commonly offer their facilities on a “no kill no fee” basis. These heartless acts require no skill and is not a game, as it does not involve a willing participant. Calling it a “sport” is a misnomer. Trophy hunters claim that hunting is akin to what natural predators do by keeping populations strong and healthy. This is at odds with Darwin’s survival of the fittest principle. In the wild, predators seek out prey that are the weakest, whereas trophy hunters target the biggest and fittest animals. Inarguably, killing healthy animals, particularly endangered or threatened species, is the very antithesis of conservation. Similarly, safari clubs argue that trophy hunting supports conservation programs, as well as indigent people in Africa. So-called “game farms”, which are breeding grounds for wild animals to be used as captive prey, perpetuate the cycle of death for wildlife caught in the trap of the unholy alliance between hunters and those countries that permit trophy hunting. It goes without saying that these farms are not conservation programs. A 2016 US House report (“Missing the Mark”) investigating trophy hunting in sub-Saharan Africa found: “many troubling examples of funds either being diverted from their purpose or not being dedicated to conservation in the first place.” The report also noted that the governments failed to deliver promised improvements in community development. The hunting industry and their governmental cohorts have proven to be a formidable force in fending off efforts by wildlife organizations to enact prohibitions against trophy hunting. Attempts at persuasion with government officials have met with limited success with only two countries (Kenya and Botswana) invoking a ban against these killing fields. A different approach with these officials is necessary. A 2017 Marist poll found 86% of Americans are opposed to big game hunting, indicating that trophy hunters do not embrace the values of the vast majority of Americans. Significantly, Biological Conservation, a highly respected scientific journal, reported that annual revenue in sub-Saharan Africa from hunters was around $201 million, compared to estimates of revenues of $36 billion from total visitors. Thus, only a tiny fraction (less than 1%) of total tourism revenue in the region is from hunters and therein lies the seed that can spell the demise of trophy hunting. Armed with these facts, wildlife organizations can exercise considerable economic clout to bring trophying of animals to a halt in Africa. By virtue of potential loss of revenue from tourism, forceful pressure can be applied on government officials in those countries that permit trophy hunting. Leverage can be implemented by a highly publicized campaign that would whitelist those countries that ban trophy hunting, which would effectively blacklist those countries that permit the practice. It is paradoxical for countries that reap financial gain from trophy hunting to also obtain revenues from tourists whose values are antithetical to that practice. It is imperative to make it clear to government officials that they can no longer have it both ways. If countries that allow trophy hunting are given an ultimatum to prohibit that practice or risk loss of enormous tourist revenue, the economic realities strongly suggest that they would enact a ban. The time is long overdue to banish trophy hunting. 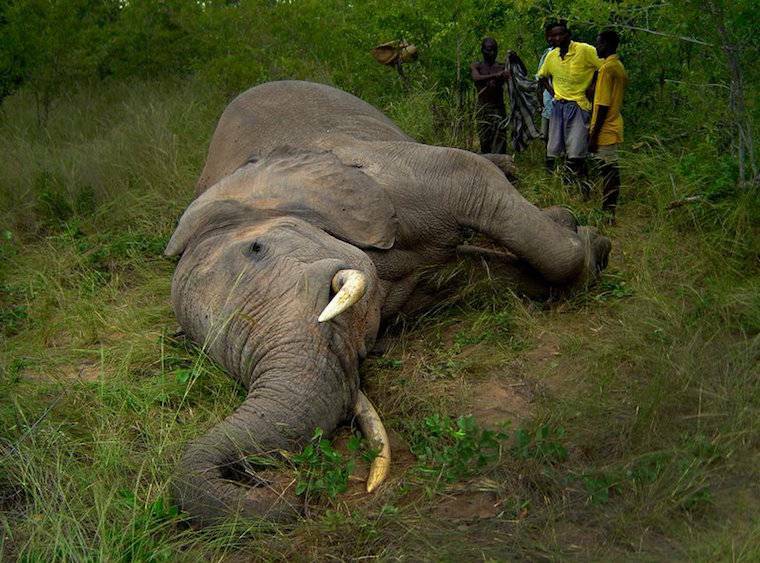 The recent lifting of the ban on importation of elephant tusks makes this goal all the more urgent. A fresh strategy along the lines of this blueprint can halt the suffering and slaughter of these wondrous beings and close this dark chapter in the history of Africa. This would be a fitting tribute to the birthright of these magnificent creatures to be wild and free! Ira Fischer devotes his retirement from the practice of law to advocacy for animal welfare. Ira is on the Advisory Board of Big Cat Rescue and is a proud member of its Legacy Society. The Mission of his website [https://irafischer.com ] is Kindness and Compassion for Animals.